According to sources . . . Some are saying . . . Anonymous sources have revealed . . . I have it on good authority . . .
That PlantPluto may not be a planet after all. 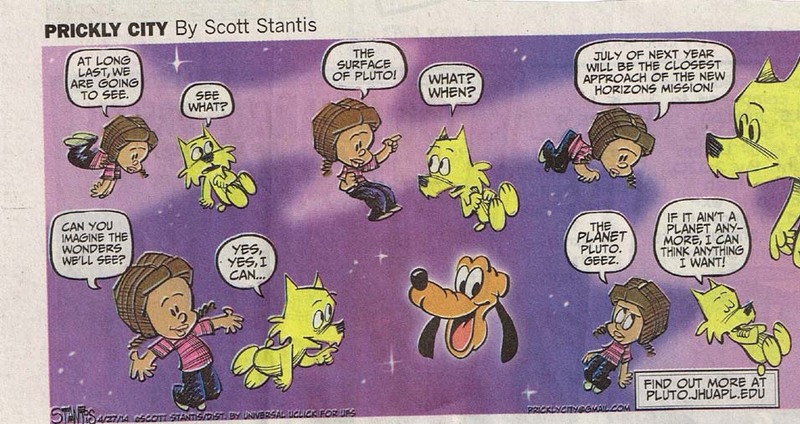 After all the ballyhoo & hoopla re: Human Intelligence, now they are claiming that PlanetPluto is indeed not a planet. Well they can only pull a dog’s tail so often before the K9 Nation must object & protest. Loudly. & call for action. Occupy PlanetPluto. I mean . . . what’s K9 Nation s’poseda think? All along humans been pullin’ our legs & tails. Insisting on humans being the top of the food chain, height of creation, possessed of superlative knowledge & intellect. & they don’t even KNOW PlanetPluto is a PLANET. Well lemme tell you . . . this kinda undermining of K9 Nation beliefs & practices is NOT to be tolerated. It’s gonna set K9 Nation to howling. If we could all just meet on the Washington Monument Mall & set up a howl in protest, that would be good. But I know dogs traveling unattended in large numbers will cause suspicion & resentment. So here’s what we’re gonna do. Come midnight on the next full full moon, when you can see clear to PlanetPluto, set up a howl that can be heard across the nation. Let humans know we won’t stand for this disrespect & discrimination. Not one more minute. We’ll move & shake. Rock the Nation, Human & K9. Set the Nation on its tail! We’re gonna Occupy PlanetPluto & take back our Planet. This entry was posted in Environment, Family, Organizations, Travel and tagged Bloggin Dog, K9 Pundamentalist, Litterary Activist, Opalk9s blog, Todo Chronicles. Bookmark the permalink.